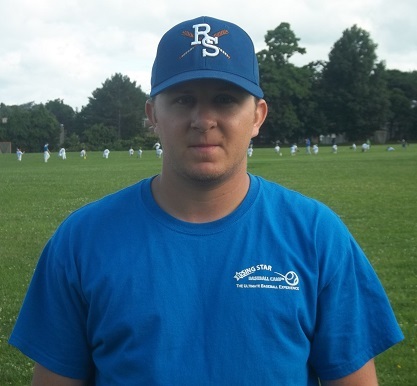 Coach Vinny Todino specializes in teaching infield defense and base running at the Rising Star Baseball Camp. By emphasizing proper footwork, effective arm slot, optimum angles to the ball, quick throwing release, and more, Coach Todino has helped many campers polish their infield play. As a Gold Glove shortstop, Todino was a player and is currrently head baseball coach for Mount Saint Vincent College in Bronx, NY. With unique coaching energy and attention to detail, Coach Todino has worked with campers of all ages since 2007.